OXFORD, Miss. – The Mississippians, the University of Mississippi’s jazz ensemble, performed overseas for the first time this summer in Europe. 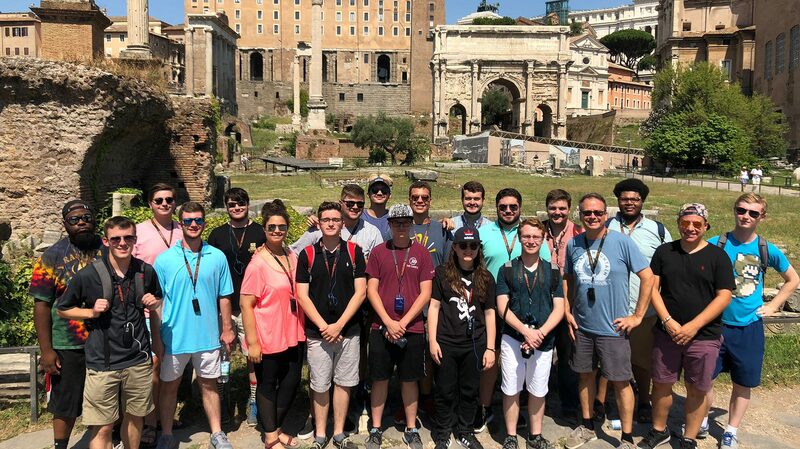 The 19 musicians of The Mississippians had an opportunity to play in Antibes, France, as well as the Italian cities of Genoa, Santa Margherita, Perugia and Rome while they traveled from July 14 to 23. Before this summer, they had traveled to the Jazz Education Network’s National Conference in Louisville, Kentucky, in 2012 and the Notre Dame Collegiate Jazz Festival in 2016. Michael Worthy, director of The Mississippians, felt that the next achievement was to do a performance outside the United States. The musicians loved sharing the music that began in the region of their home with others from around the world. While on the trip, they also opened up to the culture of Europe. They were also slated for a performance at Nice, France, as well, which included opening for Earth, Wind and Fire, but it got rained out. 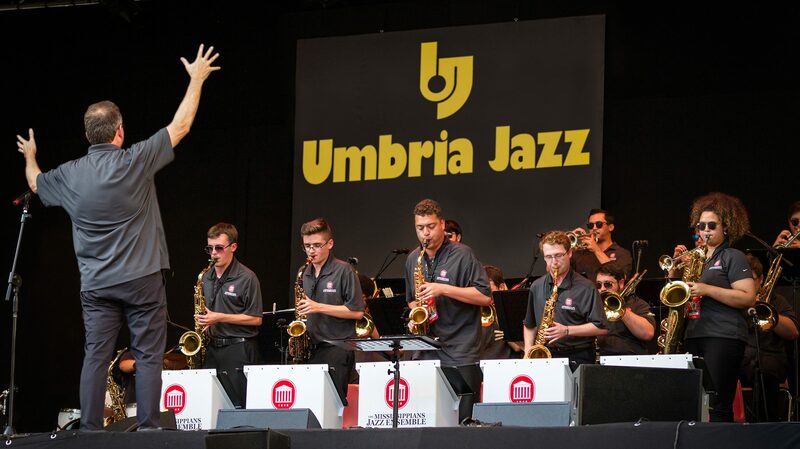 Many of the students enjoyed the performance at the Umbria Jazz Festival in Perugia the most. What made it so memorable is how the audience reacted to the music and danced to it, as well. “It was great to have such an involved crowd,” said Jesse Gibens, a junior trumpet player from Ripley. The experiences and memories they made while performing their music across Europe made the students realize how deserving they were of this occasion, Gibens said. Other students on the European tour as part of the ensemble were: Gabriel Ackermann, a graduate student on rhythm from Flowood; Brady Bramlett, a graduate student on rhythm from Memphis; David Cuevas, a graduate trombone player from Long Beach; Aaron Dalliare, a sophomore trombone player from Jackson; Kyle Dozier, a sophomore on trumpet from Ridgeland; Jamie Geoghegan, a senior trumpet player from Tupelo; Tyler Hewett, a freshman saxophone player from Walls; Kurt Hickey, a junior trombone player from New Albany; Lazarrus Miller, a junior on rhythm from Shannon; Asher Mitchell, a senior saxophone player from Silver Creek; Liam Mooney, a freshman on rhythm from Chattanooga, Tennessee; William Roberts, a junior on rhythm from Senatobia; Christopher Scott, a senior saxophone player from New Albany; Quayshun Shumpert, a junior trombone player from Fulton; Alicia Venchuk, a graduate student on rhythm from Ludington, Michigan; and Max Warren, a freshman trumpet player from Ocean Springs.